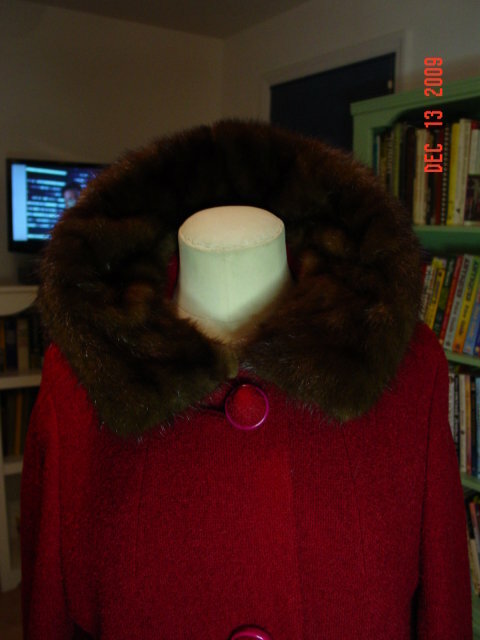 Vintage tufted cranberry wool ladies coat with a dark brown mink collar. Lined with burnt orange satin. 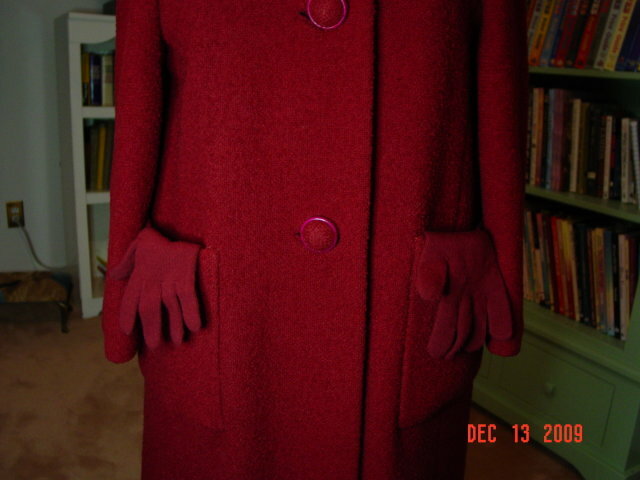 Large sewn-on pockets and 3 big matching cloth colored buttons with hot pink ring around them. Two hooks and eyes keep the fur collar closed. The gloves shown in the picture are not included. 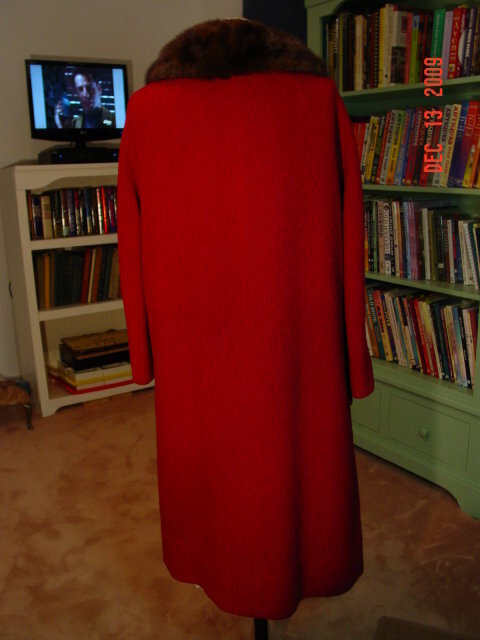 Measurements: length 42", bust 42", sleeve 22". Label is missing from inside collar. Excellent condition. 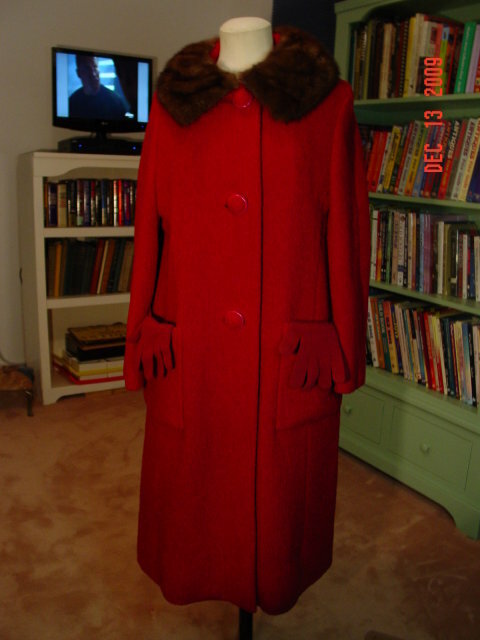 Items Similar To "Vintage Cranberry Wool Coat with Dark Brown Mink Collar"